Great coloring even if it is 2 years old! I like the paper and ribbons too. Oh my word! I adore this cute card, such a sweet kitty. Sweet image and I love the black bow. Lovely card! What an adorable kitty. Great coloring, lovely card. What a darling kitty - and card! I love it when the image shows their cute little paws! An adorable image and lovely papers, GREAT sentiment too. Beautiful card, as always, NanaConnie. Your coloring is always purrrfect! So cute! Great job! That's a sweet image and gorgeous card! I always enjoy looking at your kitties in the sidebar too! Sweet card! Love the cute kitty! Super sweet card. Thank you for joining us at Crafty Sentiments Designs! 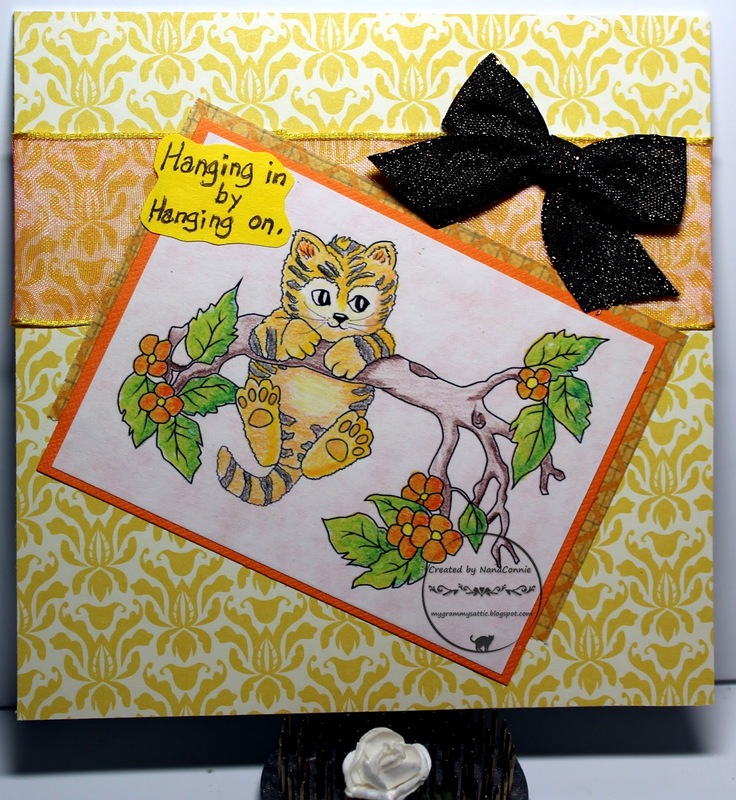 Sweet little kitty card - just love it! Lovely coloring on that adorable image! I think that kitty has its eyes on a bird...just my opinion! :) This is a really pretty card. I like the colors you used.